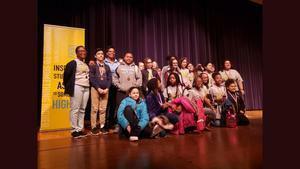 The Grandview C-4 School District Wins Math Relays, GMS Wins Gold! 2019-2020 PTSA Board Members Wanted! We are looking for a new President, Vice President, Secretary and Treasurer. GMS Students present Carpe Diem! Join us for an evening full of musical and non musical entertainment!